Pontos Requerido: 850 Os jogos não são compatíveis com dispositivos móveis e tablets. Por favor adicione este título à sua Lista de Desejos e inicie a sessão na sua conta the first club desde um computador para concluir o processo de solicitação. 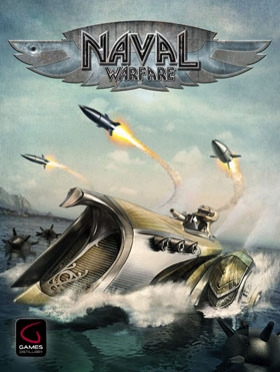 ABOUT THE GAME“Naval Warfare” is a stylish steampunk naval-action shooter with numerous tactical elements. Steer your ship into the middleof a raging naval war, where masses of enemies and allies engage in real-time operations over large, multi-screen maps,presented in a unique distinctive steampunk art-style.Destroy masses of enemies on- above- and below the water surface, unlock new ship-typ… es, weapons and upgrades to enhanceyour ship as you progress through an entertaining story-driven campaign accompanied by beautiful hand-drawn comicsequences.Choose your tactics and form your own special squadron to support you in battle, issuing offensive and defensive orders toovercome masses of enemy opponents and defensive installations.KEY FEATURES Pick-up and play shooter Battle maps with large open areas and intelligent enemies Many different weapons and customization upgrades Large variety of enemy units, including ships, submarines … Four different squad-types which the player can command Epic story-driven campaign 6 Co-op and competitive mapsSYSTEM REQUIREMENTS System Windows XP, Vista, Windows 7 CPU 1,9 GHz Dual Core or better RAM 2 GB Hard drive space 1,5 GB Videocard Nvidia Geforce GTS250/ ATI Radeon HD4800 or better Soundcard DirectX 9.0c compatible soundcard Game Size unpacked 800 MB All rights are reserved. All trademarks are propertyof its respective owners.